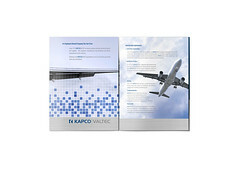 For the past few months we’ve been working with KAPCO|VALTEC, a commercial aviation supply manufacturer and distributor. 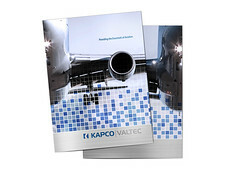 When your Boeing needs a new washer, you call KAPCO|VALTEC. While KAPCO|VALTEC manufacturers and distributes a very high quality of aviation grommets and widgets, it’s hard to get even the most dedicated airline supply buyer excited about grommets and widgets. That’s why, from the very beginning, we’ve been trying to remind consumers that KAPCO|VALTEC doesn’t just sell supplies, but sells the dream of flight. 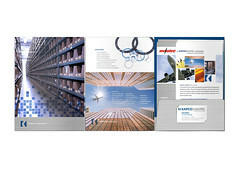 Enter the corporate brochure we designed. You’ll notice that every time we’ve put in a widget or grommet, it’s juxtaposed against imagery of flight. See where we’re going with this?